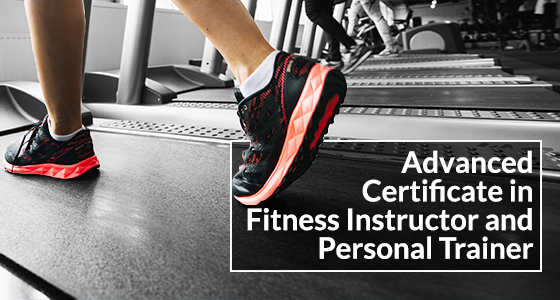 The Advanced Certificate in Fitness Instructor and Personal Trainer program builds on the MAPS Certificate III in Aerobics and Group Fitness Instructor. 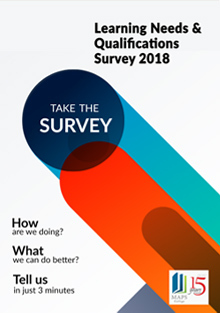 It is designed for those who are interested, or already working as Gym Instructors, including conducting Fitness assessments and Fitness Instruction programs, as well as for individuals interested in developing their own understanding of fitness instruction and personal training. Delivered in collaboration with fitness instructor specialists AZM Training and Consultancy, the course includes both classroom based theory sessions and gym-base practical sessions, and covers exercise science as well as specific content related to personal training and fitness instruction. 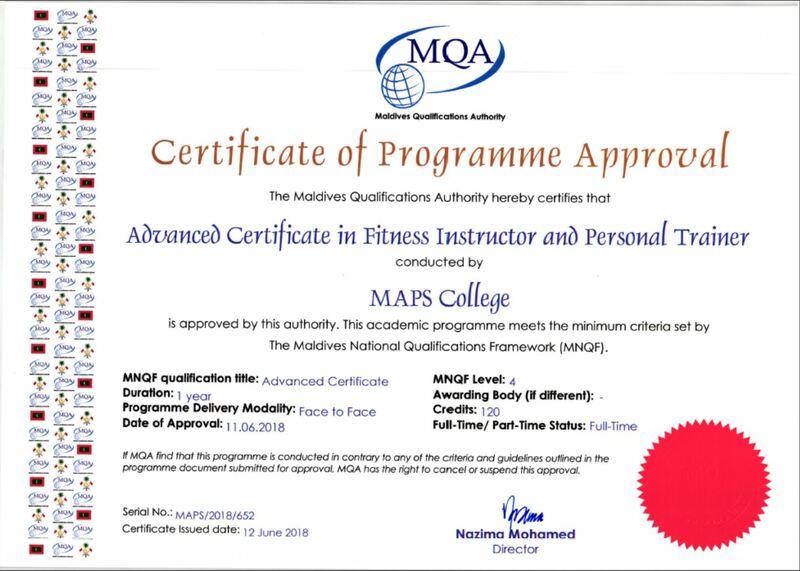 On completion of the qualification, students will also receive two FISAF International qualifications, recognised internationally as leading qualifications across the fitness industry. Qualifications received are the FISAF Fitness Instructor qualification and the FISAF Personal Trainer qualification. 18 years old and 1 year work experience AND have the ability to communicate in English. All subjects are assessed by time constrained examinations and practical exercises designed to support student learning.